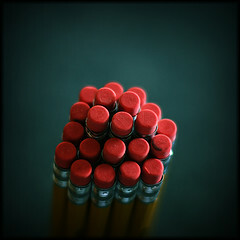 I know you're anxious to hear the results of the Summer '08 Flash Fiction Contest! Here's the skinny: We sent out an email yesterday notifying the Top 10 contestants--so please check your inboxes, there are still a few of you we haven't heard from yet. The faster we get bios and pics, the sooner we can put up the contest winners' page. Thank you for sharing your wonderful stories with our guest judges. It was not an easy task! Check back next week to see your name in "lights." Have a happy Halloween and don't eat too much candy! Winners of Gayle's Comments Contest! I asked Gayle about what type of voice recognition software she has and this is what she wrote: "As for the voice recognition software, it's just part of Word. I discovered it pretty much by accident. To see if you have it (and you should, my version of Word is 2003), open Word. Click on Tools in the Toolbar and you'll see Speech. Then your computer will take you through "speech recognition training." It takes about 15 minutes. It's really cool. For me, when I'm stuck on a writing project, it helps to talk it out. In the case I mentioned in the blog, it didn't work out great, but it did work. I think if I used it more often, it might work better. Let me know if you give it a try!" Waaaaa!! Here's the part where I cry. I have a Mac with Word 2004, and it doesn't have this capability, or at least, not that I can find. It has speech software, which I use all the time to hear my work read aloud, but not voice recognition. Does anybody know of a good program to use with Mac? Summer: I know many of you are anxious to find out the results of the Summer Flash Fiction Contest. We have NOT sent out any announcements yet, and are still in final-round judging. So, sit tight. It should be any day now. Spring Prize-packs: The Spring prize packs are almost ready to be sent out. Thank you for being patient. We are once again waiting for one thing to be printed--tees! You're going to love these ones. They're better than last season's. So, please know that your prizes are coming very, very soon. We also received a bunch of prizes for our Summer Contestants already, so when we find out the winners, those will be expedited pronto. Here are some quotes to inspire and motivate you! "You can't say, I won't write today because that excuse will extend into several days, then several months, then...you are not a writer anymore, just someone who dreams about being a writer." PS. Visit Gayle Trent today at Whole Latte Life! The second stop of Gayle's blog tour. See you there! Gayle Trent, author of Murder Takes the Cake, launches her Blog Tour! WOW! Women On Writing is thrilled to be hosting Gayle Trent on her author blog tour. We are the first stop in a month-long journey that takes readers across the U.S., Canada, and even into Ireland--all in celebration of Gayle's latest book, Murder Takes the Cake. If you received our Events Newsletter, remember, we are holding a contest to win a copy of Murder Takes the Cake on CD to those that comment. So, grab a cup of coffee, pull up a chair, and enjoy the chat, and share your thoughts, and comments, at the end. Gayle previously worked in the accounting and legal fields, and her last such job was as secretary to a Deputy Commissioner in the Virginia Workers' Compensation Commission. Though she enjoyed the work, it was a long daily commute and she felt she wasn't spending enough time with her family. Now she writes while her children are at school; and thanks to a crock pot and a bread machine, can often have dinner ready when everyone gets home. "I think it's important to be here for my children...to take part in school functions and to be an active part of their lives," Gayle says. "I can certainly sympathize with moms who work outside the home--been there, done that--but I would encourage everyone to make time to visit their children's schools, to have lunch with them [at school] occassionally, to get a feel for who their friends are...little things like that." 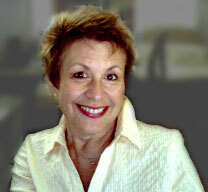 Gayle loves to hear from readers who can contact her via e-mail at gd830@hotmail.com or via one of her websites: http://www.gayletrent.com or http://gayle24202.tripod.com/. If you share an interest in cake decorating, please visit Daphne's website, available via click-through from either of Gayle's sites or at http://gayle24202.tripod.com/id9.html. 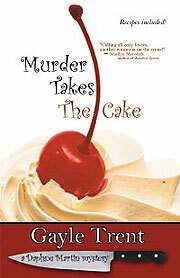 Murder Takes the Cake is the first book in the Daphne Martin Cake Decorating Mystery Series. Murder Takes the Cake was a semi-finalist in Amazon.com's Breakthrough Novel Award Contest. "Yodel Watson was dead. And some people blamed my spice cake." When the meanest gossip in Brea Ridge dies mysteriously, suspicions turn to cake decorator Daphne Martin. But all Daphne did was deliver a spice cake with cream cheese frosting. And find Yodel's body. Now Daphne's got to help solve the murder and clear her good name. Problem is, her Virginia hometown is brimming with people who had good reason to kill Yodel, and Daphne's whole family is among them. WOW: Welcome to WOW!, Gayle, we're thrilled to be launching your blog tour for your latest novel, Murder Takes the Cake. Last January, we featured you in our Premium-Green Success Stories for placing as a semi-finalist in the Amazon Breakthrough Awards. In that competition, your excerpt beat out 4,000 other entries--that's quite an achievement! What was that experience like, and what did you learn from it? Gayle: It was wonderful, but it was also sobering. I was thrilled with the accomplishment, of course; but Amazon provided us with a message board, and my heart went out to those who didn't make the cut. Art is so subjective. I was lucky that such a wide range of people enjoyed Murder Takes the Cake. And I felt lucky to have such a terrific support system. Many of the people who enjoyed MTTC were from cozy groups and writing groups, such as Premium Green. WOW: Aw...Gayle, you are too modest! Yes, I learned about the contest from PG, but when I read your story, I fell in love with your writing. Not only did it make me laugh, but I was riveted also. I wanted to know what would happen to Daphne! So, did you already have the whole novel completed at the time of entry, or was it still a work-in-progress? And how long did it take you to write the book? Gayle: I did have the entire book completed at the time of entry. I was able to write Murder Takes the Cake rather quickly. It took only four months to complete the first draft. My agent had helped me come up with the concept; and I think I was afraid that if I didn't get it to her quickly, the offer might expire or something. "Here's a coupon for marketability, good for six months from date of request." LOL! WOW: (laughs) So true! When I get an acceptance letter, I wonder if it's for real, and fear it has an expiration date. But Gayle, you're an excellent writer, and truly prolific. I'm always amazed at the dedication it takes to actually complete a novel. My patience only allows me to be a short story writer myself, although I hope to write a novel someday. What was your writing schedule like? And do you have any tips for someone like me who likes to complete one project and move on to the next? WOW: (laughs) OMG! That's hysterical. Gayle: Cozy mysteries usually take place in a small community and involve a relatively small number of people. The reader knows that someone within the intimate group will turn out to be the killer. Think Desperate Housewives with one of the cast turning out to be the killer as opposed to Criminal Minds or CSI. Cozy mysteries also feature an amateur sleuth as opposed to a professional detective, and the heroine has an interesting profession or hobby. WOW: Gee, that description makes it so easy to understand. Thank you! So are there any other cozy mystery authors you draw inspiration from? Gayle: Wow, there are so many! Nancy J. Cohen does "The Bad Hair Day Mysteries," such as Permed to Death and Died Blonde which feature the customers of Marla Shore's Palm Harbor Beauty Shop; Diane Mott Davidson has a wonderful series that began with Dying for Chocolate featuring Goldie Bear, a caterer who makes everything "just right"; and Jill Churchill has some of the best titles in the business with her Jane Jeffry series: Grime and Punishment, A Farewell to Yarns, From Here to Paternity, A Quiche Before Dying, Silence of the Hams, and even War and Peas! WOW: (laughs) Those sound like so much fun! I think you just may have turned me on to a new genre. Now, one thing that's hard for an author is choosing the right publisher. What made you choose Bell Bridge Books? Gayle: I'd worked with Deborah Smith and Belle Books (the parent of Bell Bridge) in the past when I'd written a short story for Blessings of Mossy Creek. Then I got an e-mail from Deborah in the spring of this year telling me they were looking for submissions with a Southern flavor for Bell Bridge Books. So I submitted Murder Takes the Cake. WOW: What has your experience been working with them so far? And would you recommend them to other authors? Gayle: Bell Bridge Books is like the best of both worlds insofar as it is a small publisher with big publisher distribution and connections. 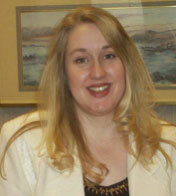 Some of the owners, including Deborah Smith, are NY Times bestselling authors in their own right. They understand each book's importance to its author. If you're willing to market, they'll help you any way they can. Plus, they have a good distribution system in place and many of their books are picked up by book clubs and large-print publishers. Before Murder Takes the Cake had even been released, I got word that some of their foreign agents (in Germany and France, I think) had requested to see the manuscript for possible translation rights. I haven't heard anything about that yet, but I think that would be so cool! So, yes, I would definitely recommend them. They do have fairly specific guidelines, so look at those before sending a query. WOW: They sound great, and so do those foreign rights! (wink) Let's move on to craft. From reading your excerpt, I have to say, you are masterful at creating characters. Where do you draw your inspiration from? And in your opinion, what are the essential elements to crafting a believable character? Gayle: First, thank you for the complement! Where do I draw inspiration from? That’s a toughie. I would have to say from the situations my characters get into. Here's an example: In Murder Takes the Cake, Daphne divorced her abusive husband after he shot at her and missed (in the book, he is currently in prison for that). However, her mother ranted about the sanctity of marriage and berated Daphne for divorcing the man and hinted that it was probably Daphne's own fault that he took a shot at her because "you know how you can be." I've been in situations--and I'm sure you have, too--where someone important to you thinks "Betsy at school is great; why don’t you be friends with her?" when you know full well that Betsy is a manipulative little backstabber. I took that to the extreme in this case; but I was once in an abusive situation where everyone thought--partly because I pretended--that everything was fine. Then I visited a shelter and met a beautiful woman with a black eye and bruised face who would barely hold her head up to look anyone in the eye. I found myself thinking, "I can understand why someone would be mean to me, but why her?" And then I had to give myself a mental shake and ask, "Why me? I don’t deserve that either!" I suppose it does, then, come back to writing what you know to an extent. I felt that to live with an abusive spouse for so long, Daphne would have had to have felt inferior or have been abused by someone else. The reader can get this undercurrent from Daphne's mother's attitude. The second essential element in creating a believable character is empathy--not just for the main character, but for all of them. In each situation, even when you're writing the villain, put yourself in that character's shoes. It was easy to identify with Daphne, but how did Daphne’s mother really feel? What drove her to act like Daphne was the cause of her husband's abuse? If I couldn't answer that question, then Daphne's mother would have become a caricature of a wicked mother rather than an actual character. WOW: I totally, and unfortunately, know that experience first hand. It was a long time ago, but I will never forget it. In fact, when I was working on my novel it crept into my story. What insight. I really like that last part about caricature. That makes a lot of sense. Another huge part of mystery writing is coming up with a great plot. I've seen two types of authors: those who outline their plots and subplots intensely, and those who let things happen organically. Which do you prefer? And what tools help you achieve this? Scenario A: Lucky Lucille misses her flight to Paris but strikes up a conversation with the janitor at the airport. They realize they share a common interest in Egyptian history, and LL decides to take the two of them on a trip to the Pyramids. Scenario B: LL takes the trip to Paris and reconnects with her old flame. He is so different from the man he used to be that LL is no longer interested. Gayle: This past weekend I did the Women's Expo in Kingsport, Tennessee. I think one of the best things about signings is the new people you get to meet. Plus, I got to reconnect with some author friends who were also at the event, and that is so much fun. I forgot my camera, but one of my new friends (P.J. Ausdenmore of Romance Novel TV http://www.romancenovel.tv.) took lots of photos and she's going to send me a link to them. When she does, I'll be putting those up on my site. Oh, and I got invited to be on a local TV show at the Expo. That's exciting but nerve-wracking because I look like a total idiot on TV (I've done two spots in the past and they were disasters). I’ll probably do it anyway, and tape it, and be mortified. ☺ I’ll be doing some other things, too, and will put them up on my site at http://www.gayletrent.com. WOW: That all sounds exciting! I'm sure you'll do awesome. Thank you so much Gayle for taking time to chat with us today, and we'll be following you on this fantastic tour! I can't wait to read your cake decorating tips on the other blogs, and all the other wonderful topics you'll be talking about. So, do you have any parting words of wisdom you can share with our women writers? WOW: Want to join Gayle on her blog tour? Check out these dates and mark your calendar! You can also snag a copy of WOW's Events Calendar HERE. Gayle will be chatting with WOW! Women On Writing at The Muffin. Stop by and share your comments! The best comment will win copy of the ebook on CD! Visit Gayle at Joanne DeMaio's blog, Whole Latte Life. Gayle will be talking about how cake decorating inspires writing and leads to a choice life. Are you a freelance writer? Then this is not to miss! Gayle stops by Beth Morrissey's blog, Hell Or High Water to chat freelance writing. Gayle visits Allie Boniface's blog, Allie's Musings, to talk writing. Allie's interviews are always a lot of fun, as well as informative. Interview and Book Giveaway Contest! Gayle will be visiting Jen Singer's blog, Momma Said! Be sure to read her interview and enter the Housewife Awards Contest to win a signed copy of Murder Takes the Cake. This contest runs until November 10th, when winners will be announced. Don't wait for the last minute to enter! Gayle has another stop today, and this time she's visiting C. Hope Clark's blog, Funds for Writers. Funds for Writers has been a Writer's Digest 101 Best Web Sites for Writers - 2001 through 2008. Come join Gayle and Hope as they sit down and chat about mystery writing. Want to learn some fun ideas for cake decorating with the kids? 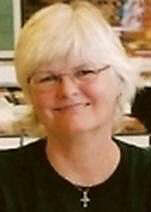 Gayle stops by Anne-Marie Nichols' blog, My Readable Feast, and dishes her cake decorating tips! Want to find out more about Murder Takes the Cake? Visit Carolyn Howard-Johnson's blog, The New Book Review, and find out the thrilling details of this cozy mystery novel just in time for Halloween! Writer Unboxed is a blog dedicated to celebrating genre fiction. 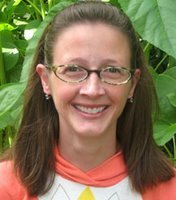 Blog mamas and 2009 debut authors Kathleen Bolton and Therese Walsh conduct weekly interviews with a wide array of novelists and publishing professionals to help empower others on craft and business issues. They also provide instructive and inspirational essays on writing along with WU's esteemed slate of contributors, including bestselling authors Allison Winn Scotch, Barbara Samuel, Juliet Marillier and Sophie Masson, and respected editor Ray Rhamey. Look for legendary literary agent and author Donald Maass to join WU in April of 2009 as a monthly contributor! Readers delight! Gayle will chat with readers today about their favorite subject: reading. Come visit her at Wendy Runyon's fabulous blog, Musings of a Bookish Kitty, and dig in to a good read. Gayle Trent shares her best craft of writing and book promotion tips with Carolyn Howard-Johnson's award winning blog, Sharing With Writers, a Writer's Digest 101 Best Websites for Writers. If you're an author looking for the inside scoop on book promotion, this is not to miss! If you're a mom, Cate O'Malley's blog, The Voice of Mom, is a must-visit. This blog dishes the truth for moms, uncensored. Gayle will be stopping by to talk family and cake decorating, straight up! Get your sweet fix here. Gayle stops by Lauri Griffin's blog, Lauri's Reflections, for an interview covering everything from writing to parenting twins! If you're a fan of Debbie Ridpath Ohi's popular cartoons on writing, you have to check out her blog, Inky Girl. Gayle stops by Inky Girl to chat about writing. Debbie's interviews are the best! Stop by for a visit. Do you believe in happily-ever-after? Gayle stops by Allyn Evans' blog, Happily Ever After Today, to chat about life lessons and overcoming obstacles. Get ready to be inspired! If your reading preference is for a throat-clenching thriller, a page turner crime/suspense, or a can't-put-it-down cozy, look no more. Gayle Trent will be talking about the craft of mystery writing at Murder By 4, a group blog that features four published authors: Aaron Paul Lazar, Kim Smith, Marta Stephens, and S.W. Vaughn. Stop by for a thrilling ride! Oh, be sure to comment on this post to enter in a drawing for a copy of Gayle Trent's latest novel, Murder Takes the Cake, on CD!